The competition from Xiaomi Redmi 5A is virtually unbeatable at its price bracket but it has not stopped other smartphone manufacturers from trying their best. Intex Technologies has upped its game and launched the Intex ELYT e6 which shall go head to head with the Redmi 5A 3GB RAM + 32GB internal memory variant. In order to minimise the costs, Intex will be selling the Intex ELYT e6 exclusively on Flipkart. The price of the Intex ELYT e6 is Rs. 6999 and it is sure to affect purchase decision of budget smartphone shoppers. The Intex ELYT e6 starts of strong with its 5inch HD resolution display that is encased in 2.5D Dragontrail glass. Underneath the hood we find a MediaTek chipset that houses a 1.25GHz 64-bit quad-core processor and 3GB of RAM to run Android Nougat. We are happy to see at this price range companies have started to offer 3GB of RAM which will help in multitasking. Sadly, the performance of the Intex ELYT e6 will not be similar to the Redmi 5A which has a more powerful Qualcomm Snapdragon 425 chipset. The internal memory of the Intex ELYT e6 stands at 32GB and you can use microSD cards of up to 128GB to expand the storage. The Intex ELYT e6 has a 13MP LED flash equipped camera on the rear and a soft flash equipped 8MP selfie camera on the front. You have to note here that the Redmi 5A has a similar 13MP sensor on the rear but a 5MP shooter on the front. Sadly we cannot comment on the camera quality until we have seen some samples from both. The Intex ELYT e6 also tried to one up the Redmi 5A with its huge 4000mAh battery which is expected to give up to 16 hours of talk time and standby of around 12 days. The Intex ELYT e6 has connectivity options like microUSB, Wi-Fi and Bluetooth. 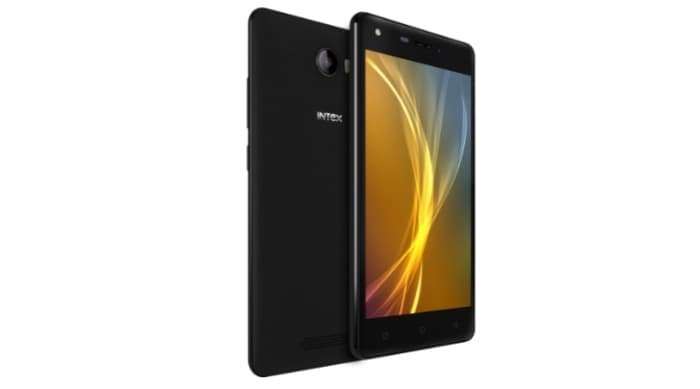 The Intex ELYT e6 will only be available in Black colour variant.